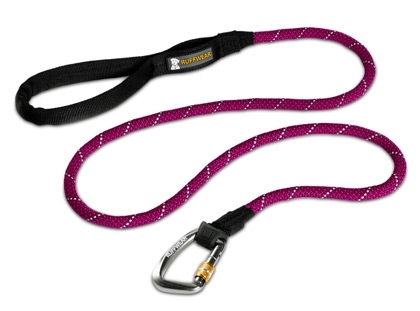 The Ruffwear Knot-a-Leash is a rugged, climbing-inspired leash that provides security and comfort on any adventure. A Ruffwear-designed carabiner (instead of a traditional clip) keeps leash and collar securely connected. Comfortable and convenient with a tubular webbing handle and accessory loop, the Knot-a-Leash offers low-light visibility with integrated reflectivity.